Valentine's Day word search puzzles are a fun way that children can celebrate Valentine's Day while at the same time strengthening their vocabulary and spelling skills. All the Valentine's Day word search puzzles have hidden words that all have to do with Valentine's Day - love, chocolate, candy, flowers, and everything else that this winter holiday reminds use of. The kids will have a blast finding all the Valentine words in the puzzle. The printable Valentine word search puzzles below are organized by skill level - easy, medium, and challenging, along with a recommended grade level for each. There are also some online valentine word searches at the bottom of the page. If you don't quite find what you're looking for you can create your own valentine word search or check out my list of free winter word searches, free St. Patrick's Day words searches, or holiday word searches. For other free Valentine's Day items, see these printable Valentine's Day cards, Valentine's Day crafts kids, Valentine's Day printables, Valentine clip art, Valentine's Day coloring pages, and even printable Valentine's Day bingo cards to help you celebrate the holiday. These are easy valentine word search puzzles that have 15 or less hidden words. They are great for kids in grades 1-3 or for a quick activity for children of all ages. Super Easy Valentine Word Search: This is a great puzzle with younger kids with only 6 words to find. Valentine Word Search Fun: Find 6 words in the valentine word search puzzle and then come up with some other Valentine's Day words. Pink Valentine's Day Word Search: Find 7 words in this pretty in pink valentine word search. Heart Valentine Word Search Puzzle: A valentine word search puzzle with 10 hidden words. Two Hearts Valentine Word Search: A 10-word valentine word search puzzle with hearts that can be colored. Valentine's Day Word Search Worksheet: A printable worksheet with an 11-word valentine word search puzzle. Valentine's Day Word Search Freebie: There are only 12 words to find in this picture word search puzzle that's all about Valentine's Day. 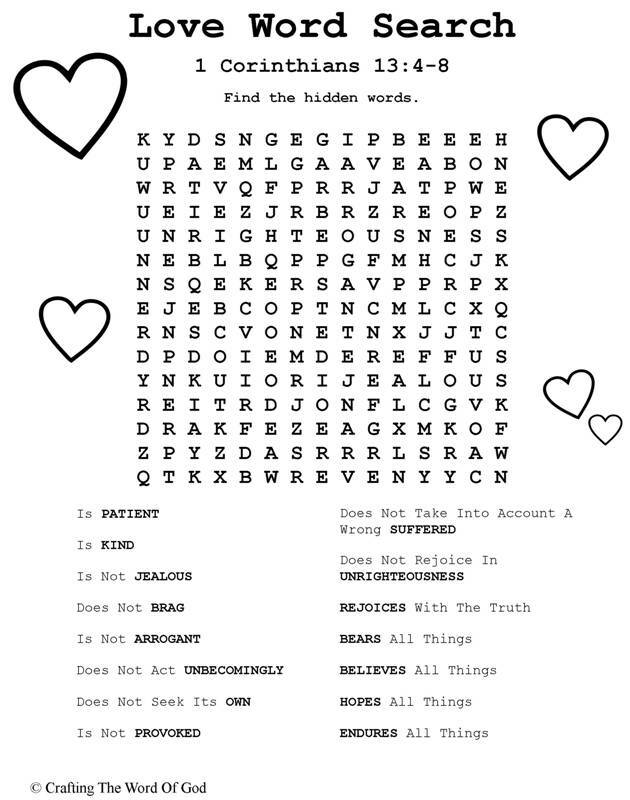 Hidden Message Valentine Word Search: After you've found all 12 words you can use the leftover letters to spell a hidden message. 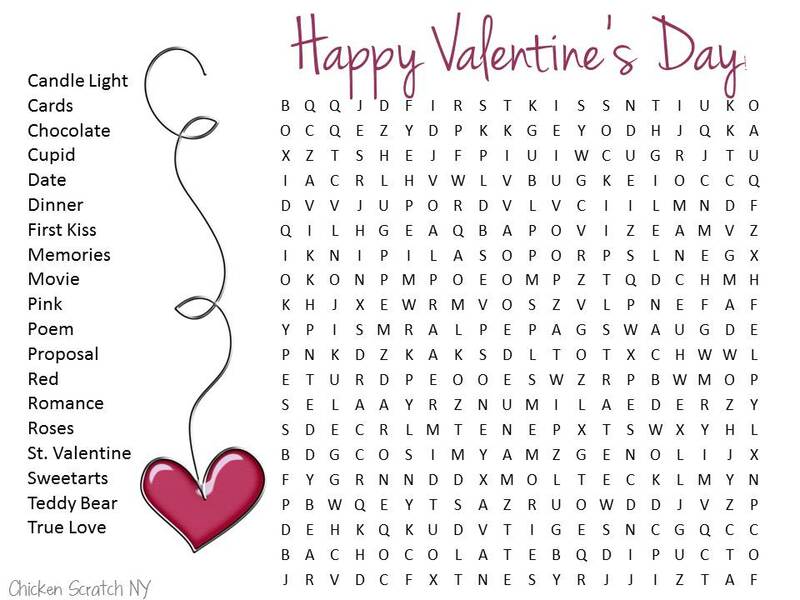 Barely Easy Valentine's Day Word Search: There are 12 words to find in this valentine word search. Valentine's Day Word Search: There are 12 hidden words all about love and sweets in this free, printable puzzle. 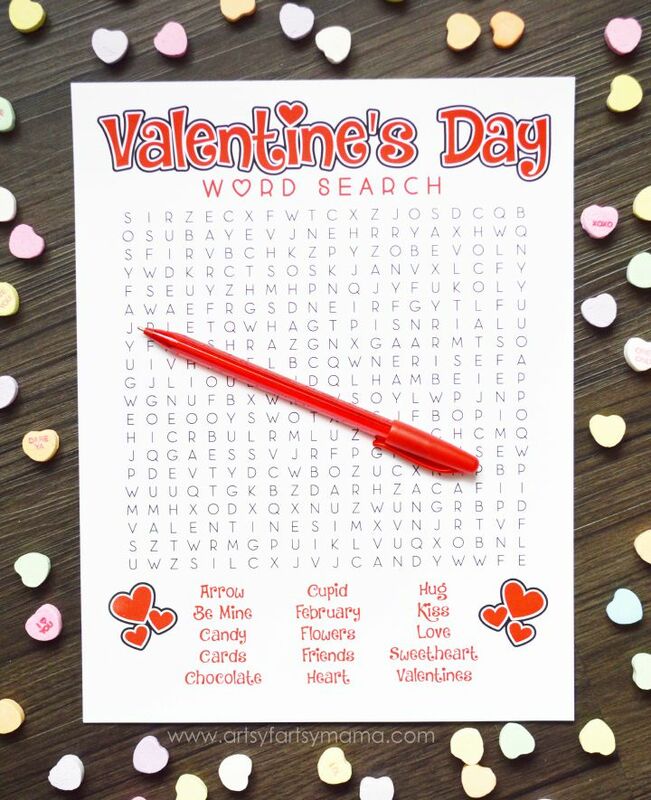 Valentine's Day Word Search Worksheet: Print out this pretty worksheet and find 13 words. Valentine Balloon Word Search: Heart balloons decorate this 15-word valentine word search puzzle. Valentine's Day Word Search Puzzle: Find 15 hidden words in this red and white word search. These printable word search puzzles are medium-level and have 16-30 words that are hidden in the puzzles. I think they work great for kids in grades 4-5. Bratz Valentine Word Search: A 16-word valentine word search featuring a Bratz doll. Religious Love Word Search: Here's a 16-word valentine word search puzzle that's based on a Bible story. Valentine's Day Word Search: There are 17 words you'll need to find in this pretty red and pink word search puzzle. V-Day Word Search: Find 17 hidden words in the navy and gold Valentine's Day word search. Happy Valentine's Day: There are 20 words to find in this free, printable puzzle. 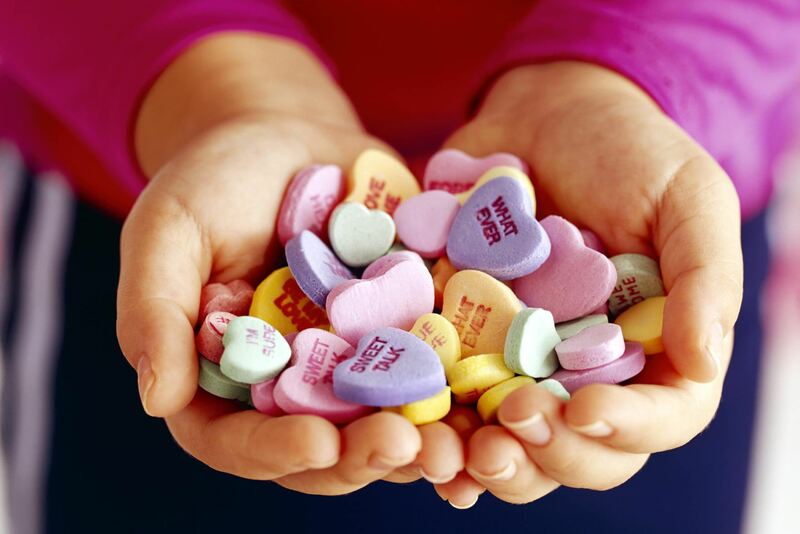 Be Mine Word Search: Find 20 sweet words to complete this Valentine word search. Happy Valentine's Day! : There are 21 hidden words for you to seek out in this floral Valentine's Day word search puzzle. Heart Valentine Word Search: There are 25 words to find in this heart-shaped valentine word search puzzle. Printable Valentine's Day Word Search: This 29-word valentine word search can be printed in color or black and white. Valentine's Day Treats: Find the 29 hidden words in this word search all about Valentine's Day treats. The valentine word search puzzles below are considered challenging with 31 or more words to find. They're ideal for kids in grades 6 and up. Valentine's Day Word Search Puzzle: There are a whopping 55 words to find in this valentine puzzle. French Valentine's Day Word Search: There are only 20 words to find in this Valentine's Day word search puzzle, but since it's in French, I'm putting it in the challenging section. 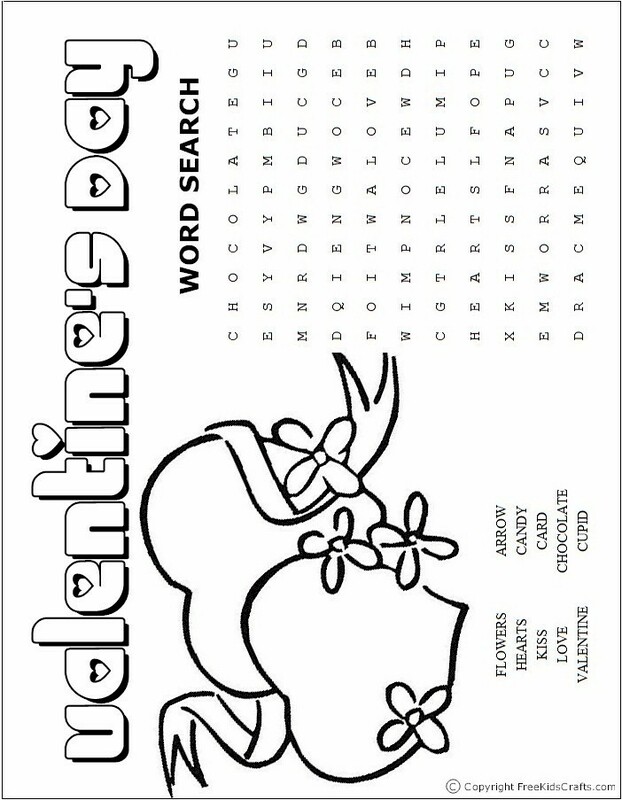 These valentine word search puzzles are all online and range in skill level from easy to medium. Easy Online Valentine Word Search: This online valentine word search is pretty easy with only 12 words to find. Valentine's Day Seek-a-Word: There are 14 words to find in this online valentine word search puzzle.